Netherland (1975 SG1208) 400th Anniversary of Leiden University. 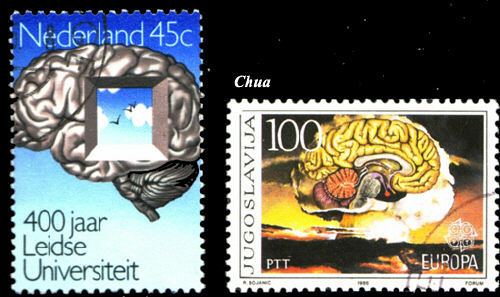 Yugoslavia (1986 SG2290) Europa: Brain s nuclear cloud. the visual cortex that processes the visual information relayed by the optic nerves. The frontal eye field is important in smooth pursuit.